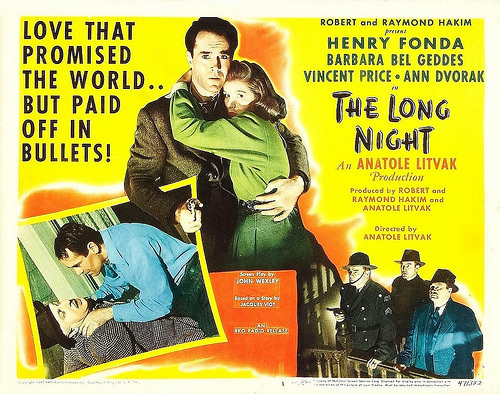 The Long Night (1947) | COMING AT YOU … in a blast of terrific drama! 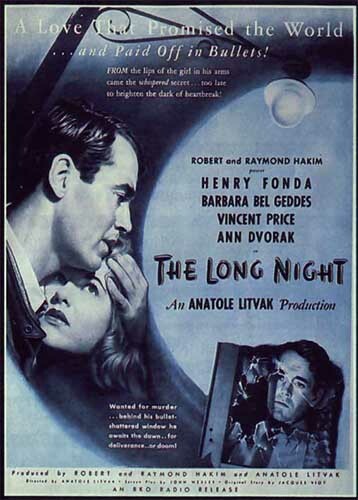 Director Anatole Litvak is best-known for the 1940s classics Sorry, Wrong Number and The Snake Pit, but he also helmed and co-produced the underrated romantic film noir, The Long Night for RKO Pictures in 1947 (released 28 May in the US). 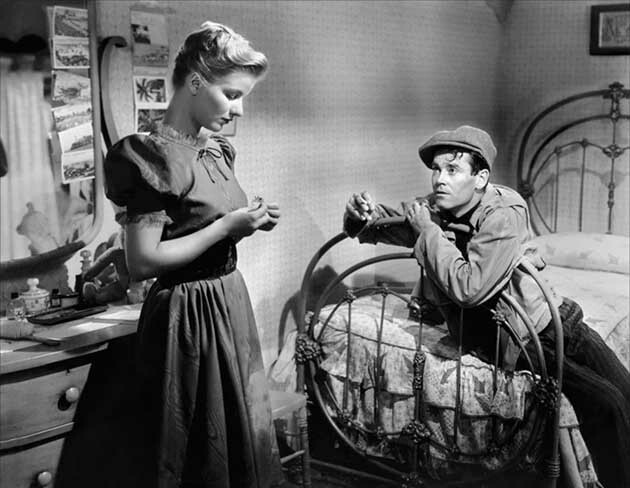 This was a remake of Marcel Carné’s 1939 drama Le Jour se lève (aka Daybreak) and starred Henry Fonda, Ann Dvorak, Vincent Price, and future Dallas star, Barbara Bel Geddes, in her screen debut. The impassioned story of a love that promised the world — and paid off in bullets! 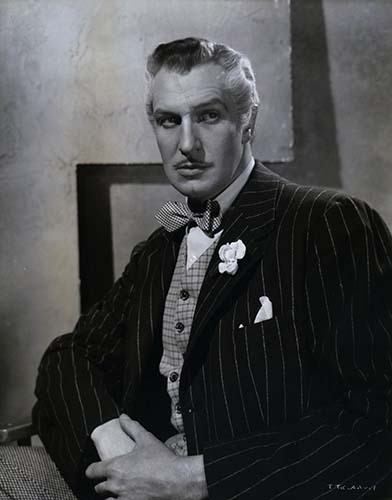 The role of elegant illusionist and slimy womaniser, Max, gave Price some juicy dialogue (like, ‘In a strange way I’m honest… even about my lies’ and ‘You have sharp nails like a little animal. Maybe that’s what I like about you’), but it also saw him learn some magic skills courtesy of Charlie Miller, a profession magician who had also taught Orson Welles. 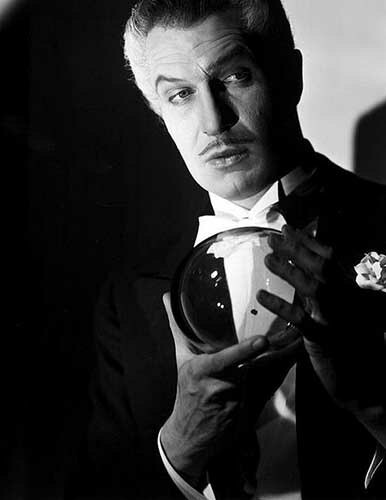 In an odd coincidence, as a youngster, Price’s father used put on magic shows at the University School in Kenosha, Wisconsin along with his classmate, who just happened to be Orson’s dad, Richard Head Welles. Less memorable for Price were the injuries he suffered during the shoot: these included a fractured rib (when he had to fall down flights of stairs), a sprained a wrist, and a swollen face after being slapped by Bel Geddes 18 times, and he also got bitten (three times) by a performing Pomeranian. Speaking to the press of the day, Price said: ‘I hope my next film assignment calls for a suit of armour’. For many years, this underrated thriller was hard to find until Kino Video released it on VHS in 2000, which included a pristine transfer made from a 35mm nitrate negative and included insightful comparisons with Le Jour se lève in the extras. To date, no HD version has been released. 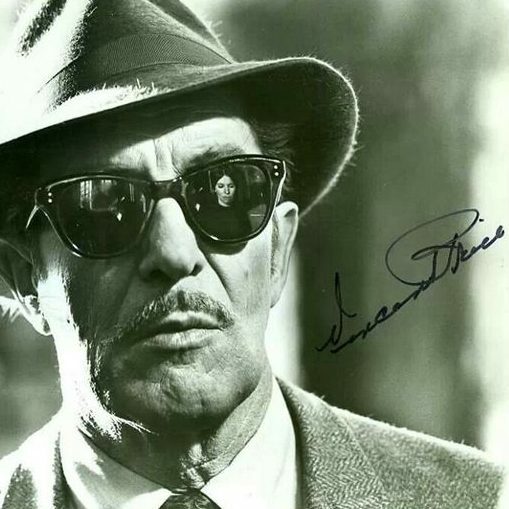 And here’s another interesting piece of trivia: comic book legends Steve Ditko and Stan Lee based Doctor Strange‘s appearance on Price’s looks in this film and as Erasmus Craven in 1963’s The Raven; the character even bears the middle name of Vincent.